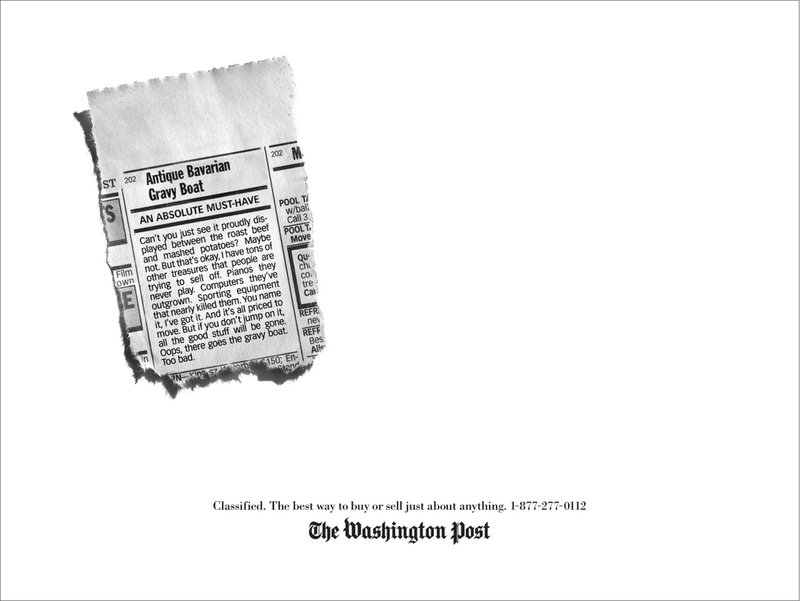 The Washington Post came to us with the goal of trying to make their classified ads relevant and, dare I say, fun. Craigslist was cleaning up and they were watching their placements drop. So, we had the idea that, if classified are a person's way of talking to other people to tell them that you have a job or something to sell, what if the classifieds also had a voice and could speak to people, maybe give you some advice. You don't often get jazzed about the prospect of small space newspaper ads, but we had a lot of fun with these. Below are three of my favorites from the series.